Revenger #1, the latest comic by Chuck Forsman (from his micro-press, Oily Comics), is now available. Well, to be more specific: the digital version is now available, and the print version is shipping at the end of February. 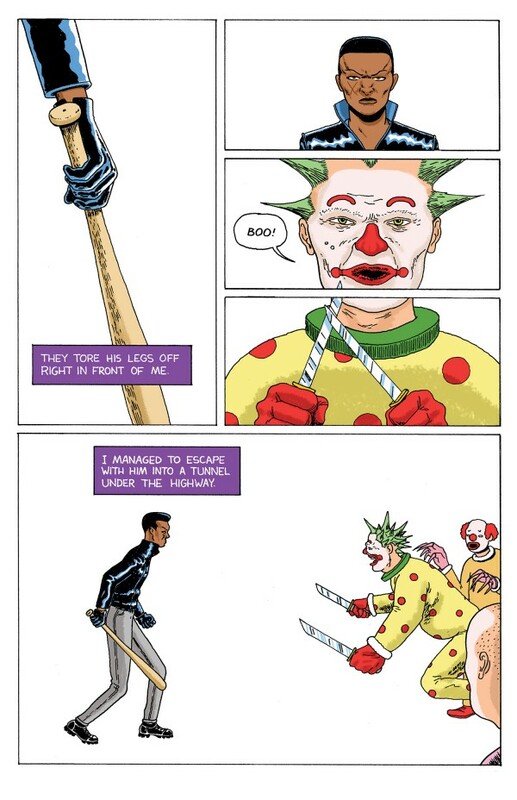 You can read the comic digitally via Gum Road, Comixology, and Google Play. If you want a print version like me, you’ll have to order it from Gumroad (you’ll get a free digital copy too). There’s also an $18 package that includes a hand-drawn postcard. Chuck told me he chose to go with Gumroad because it allows him to sell both print and digital editions. Gumroad also allows you to pay above the base price. This entry was posted in Uncategorized and tagged Chuck Forsman, Comixology, Google Play, Gumroad, Oily. Bookmark the permalink.